JOHANNESBURG (AP) — Oscar Pistorius faces another legal challenge when South Africa’s Supreme Court of Appeal convenes Nov. 3 to hear arguments by state prosecutors that the former track star and convicted murderer should get more jail time. The National Prosecuting Authority said Tuesday that the Supreme Court of Appeal will hear its case for overturning Pistorius’ six-year prison sentence for murdering girlfriend Reeva Steenkamp on the basis that it is too lenient. Prosecutors want the sentence of the double-amputee Olympic runner to be increased to 15 years. Pistorius was convicted of murder after a successful 2015 appeal by prosecutors against an initial manslaughter verdict. He shot Steenkamp multiple times through a toilet cubicle door at his Pretoria home early on Valentine’s Day 2013. 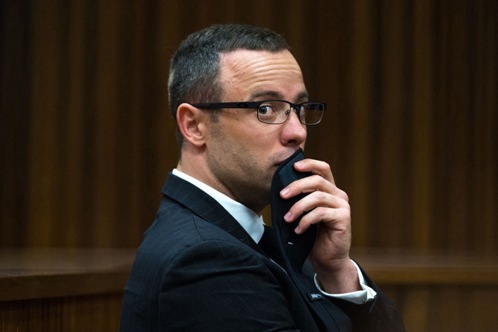 Pistorius claimed he mistook his girlfriend for an intruder.